Until the death of owner Bob Koritzki in July of 2009, Spooky House was of the most successful Halloween attractions in Los Angeles. 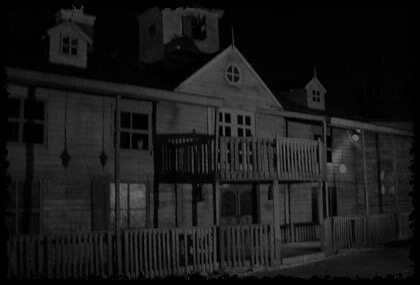 Spooky House was an early example of a Halloween haunt that settled into a relatively permanent location; though it moved a few times over the years, it was always set up in structures that did not have to be torn down at the end of October, allowing for the creation of more elaborate sets. Its best location - near a mall on Topanga Canyon Boulevard in Northridge, where the haunt took place until 2004 - allowed for three lengthy mazes, each with its own personality, with much of the action set outdoors. For 2005 & 2006, Spooky House moved its Halloween haunt to a temporary location, inside an abandoned movie theatre on Parthenia. Many of the old props and effects survived the transition, but there were major changes: less elaborate decor and no more outdoor sections to the mazes, which generally seemed shorter that they used to be. Spooky House offered three haunted house mazes in one continuous walk-through experience. One of them, "Turbidite Manor" was independently owned and operated; eventually, the owner departed, taking Turbidte out of state. For 2007, Spooky House moved into a new, permanent location in Chatsworth, which saw a return to the impressive architecture and detailed sets for which the haunt was justly famous. Although the new single walk-through maze provided a somewhat shorter attraction than at previous locations (with no outdoor settings), the number of ghouls and ghosts remained more or less the same, resulting in more scares per square foot. After the death of Koritzki, the Spooky House franchise name was sold; the haunt's old props became the property of the Queen Mary Hotel, which used them for its Halloween attractions, the Haunted Queen Mary and, later, Queen Mary Dark Harbor. Koritzke also owned or co-owned the Seaside Haunt, Fearplex, Old Town Haunt Halloween attraction, and Skull Kingdom. Old Town Haunt continued operation after 2009, but Fearplex and Seaside Haunt did not; the Seaside Haunt website was redirected to the Queen Mary's Halloween event. Spooky House was popular, so it was crowded. Visitors had to wait in line, especially later in the season. VIP tickets helped (somewhat). The mazes sometimes seemed understaffed (with numerous blind corners untenanted by the ghosts they were so obviously designed to house). Also, when things got busy, the staff has a tendency to rush the guests through the mazes without allowing time for the cast to reset after the previous group, with the result that visitors missed some of the scares and mechanical effects. Note: After the demise of Spooky House, some cast members resurrected their characters in the Forbidden Haunt, a circus-themed attraction which opened in Sherman Oaks for Halloween 2010. Forbidden Haunt moved to Oxnard the next year, where it was renamed Fears Gate Halloween Haunt. Check out our for Spooky House Archive.